We have extended the sales deadline for this trip! Registration will close Friday February 1st, with payment in full at time of registration. Kick those winter blues to the side with laughter and a great meal! Join Foxy Travel on Sunday, February 24th and come see what everyone is talking about…The Newport Playhouse & Cabaret continues to be a favorite with our Foxy Travelers! The theater recently underwent renovations and is even better than before. With it’s convenient one stop destination, guests are treated to a comedic theater performance, a bountiful buffet and cabaret performance during dessert… without ever leaving the Playhouse! 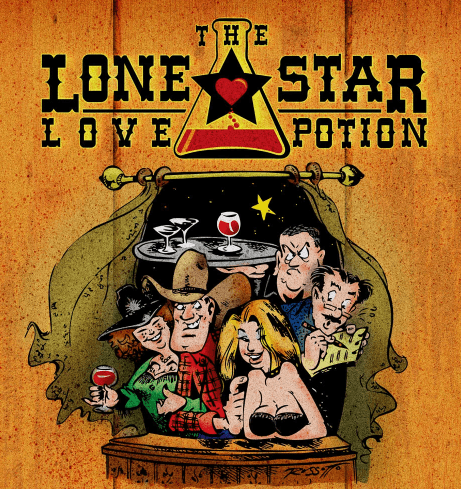 The Lone Star Love Potion: The owner of a vast fortune and a two hundred thousand acre Texas ranch has died. His will refers to the butler, the maid, his niece and the neighbor, Tammy Jo, as well as a formula and a sample of what appears to be a love potion. Can it really work? It has the potential to be worth billions to whomever can obtain it! Before long everyone is testing it with hilarious results.